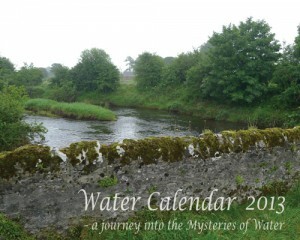 The calendar includes various dates associated with water (e.g. UN recognized days), and public holidays of several western countries. Read more om Water Calendar 2014 - a journey into the mysteries of water (på watercalendar.com). 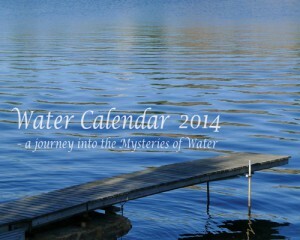 A calendar with spectacular images and texts on water. Environmental scientist Lasse Johansson guides us on an odyssey into the Mysteries of Water, visiting Viktor Schauberger's river restoration, ink droplets mimicking jellyfish, self-organization at the water's edge, and much more, leaving the reader with a new perspective on water. Read more om Water Calendar 2013 - a journey into the mysteries of water (på watercalendar.com).